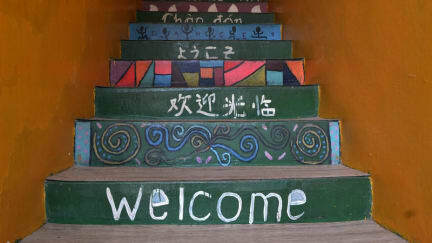 The warmest of welcomes awaits you at Ringo's Foyer Guest House in Melaka City Centre. We offer budget accommodation in a central location, just a few minutes walk from Jonker Street.. Our rooms are varied, ranging from family and double rooms to single and dorm rooms. Ringo's Foyer Guest House offers budget accommodation in the heart of the city of Melaka. 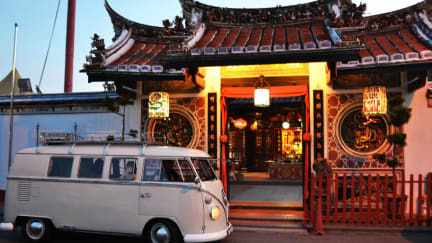 Due to our great location, you are just a few minutes walk from everything Jonker Street has to offer. There is no shortage of things to do and see - discover the bustling west end of the city with its local stalls and markets, check out the museums, art galleries, local shops and much more. Or if you prefer, you can chill out on our rooftop, or choose to watch a movie from our endless list! Join us in the evening as we bring you to one of the fantastic range of local restaurants where you can learn about and enjoy the famous local food. PS : WE are simple backpackers Hostel, NOT HOTEL, if you guy Looking for The Fancy HOSTEL, Please Pay more and choice another place, appreciate it.